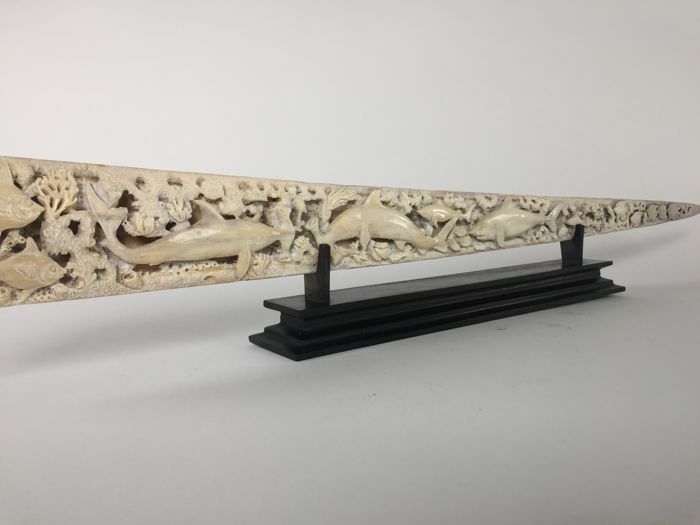 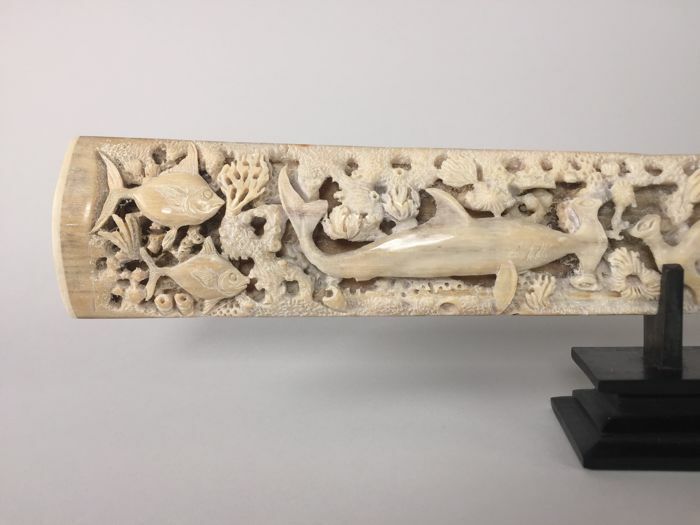 Beautifully carved swordfish bill with an oceanic scene. 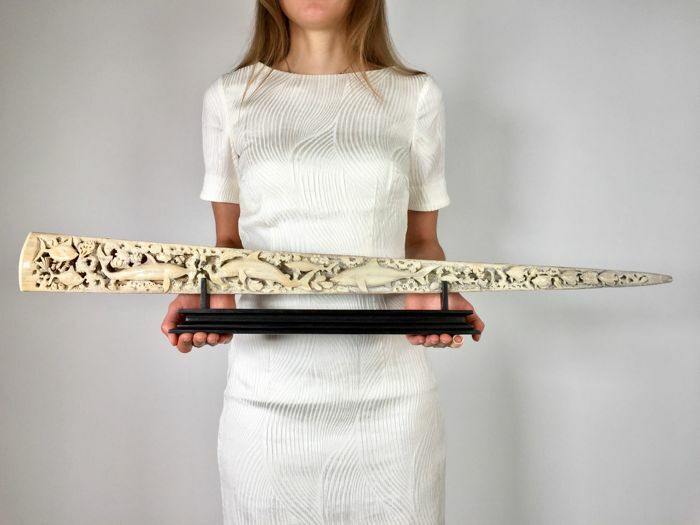 Very impressive eye catcher. 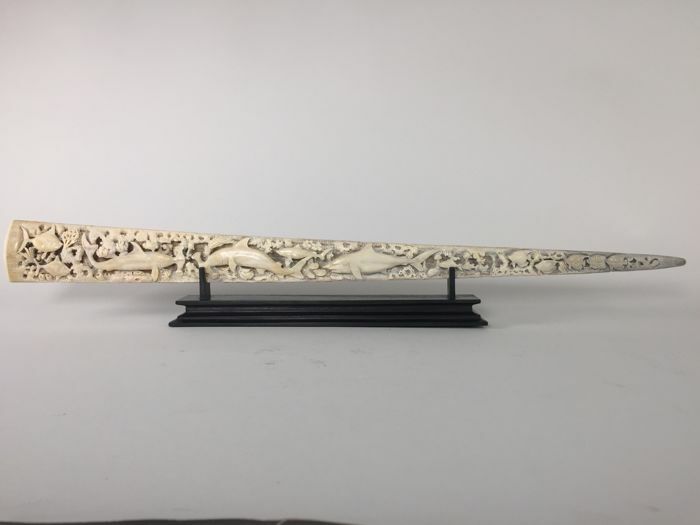 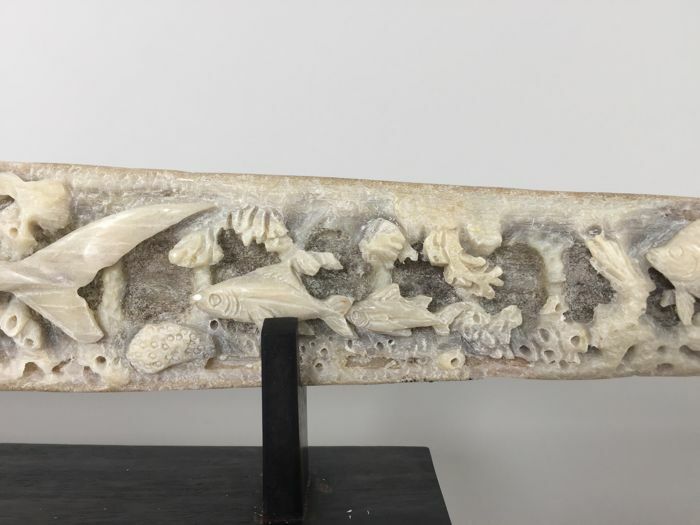 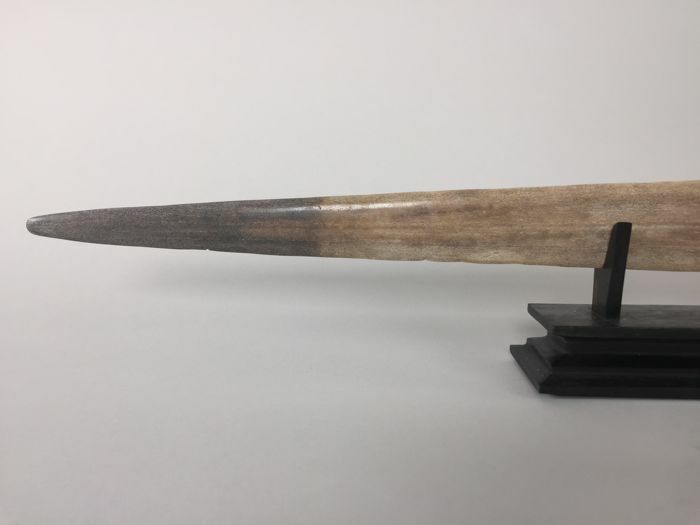 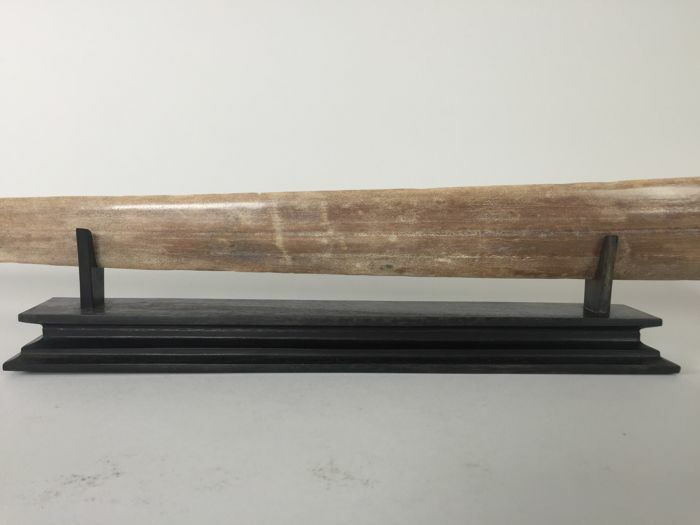 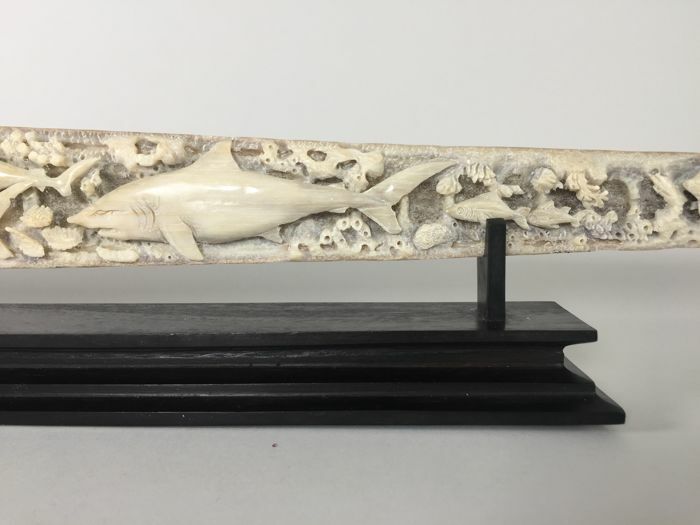 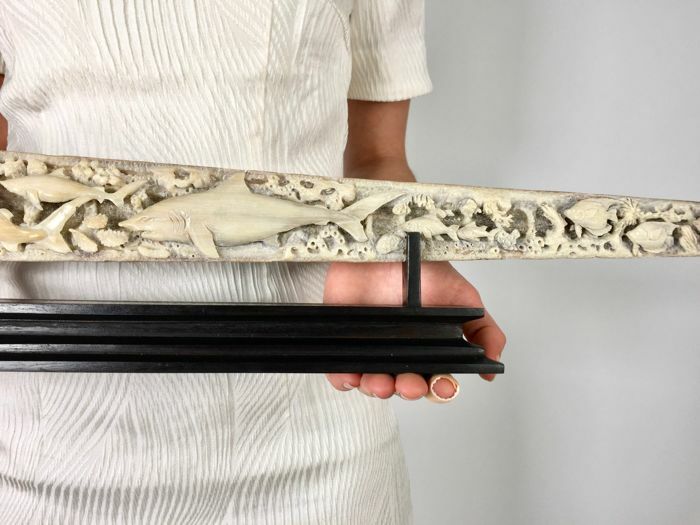 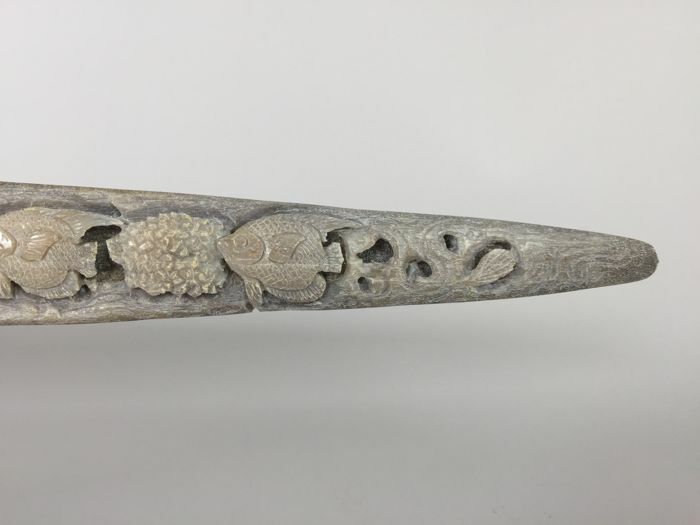 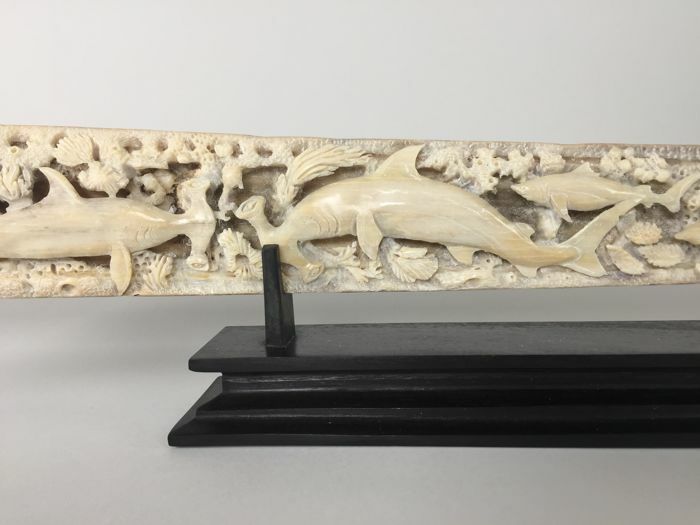 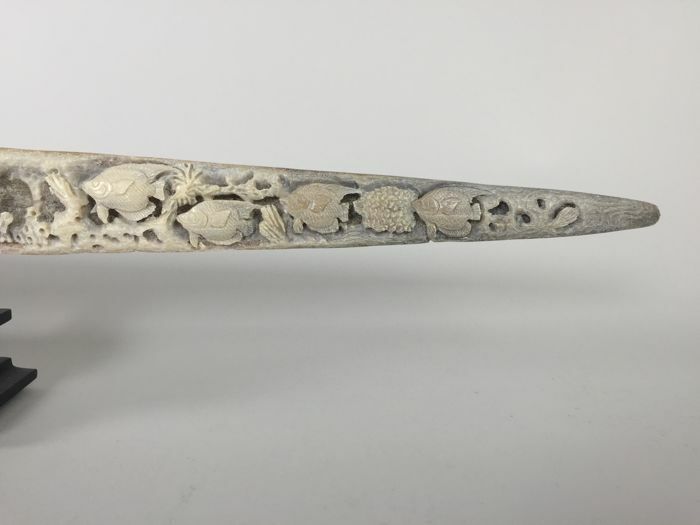 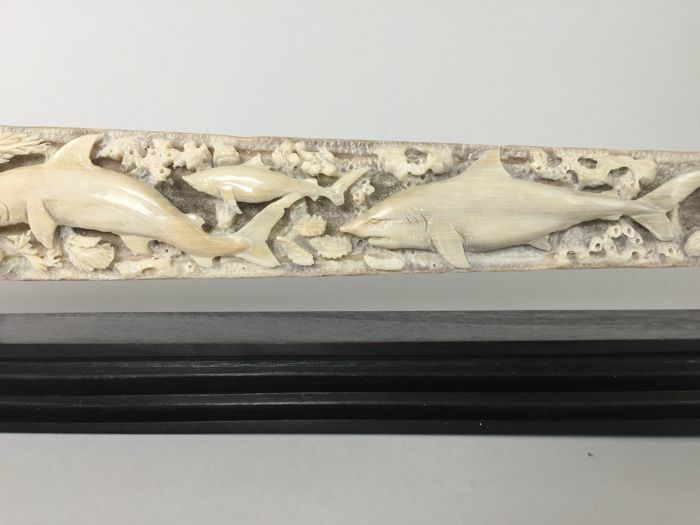 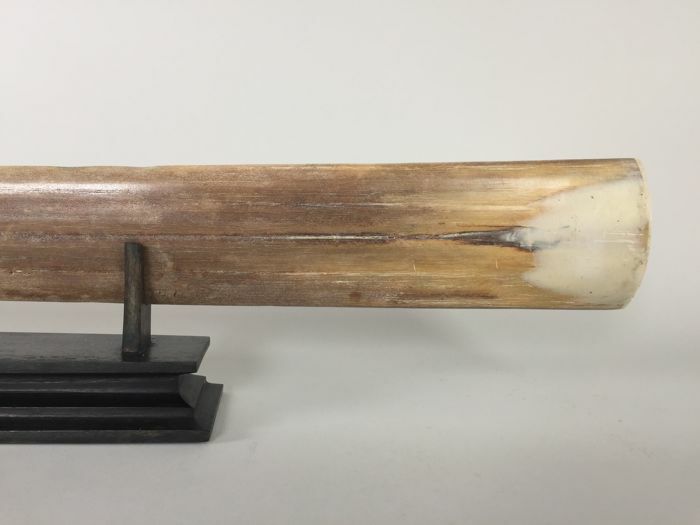 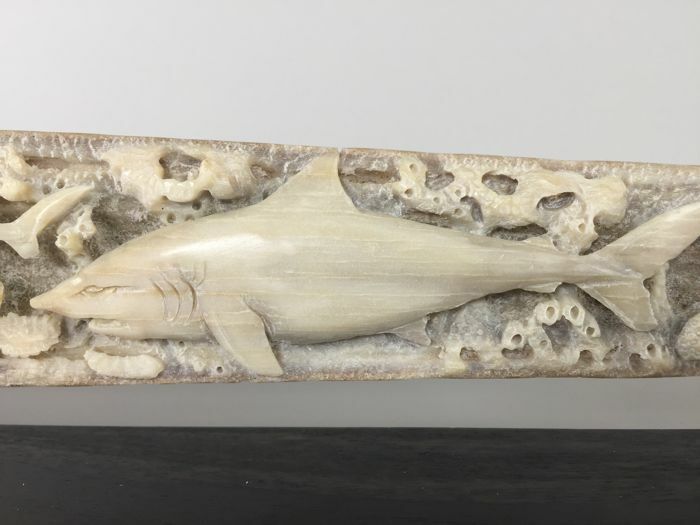 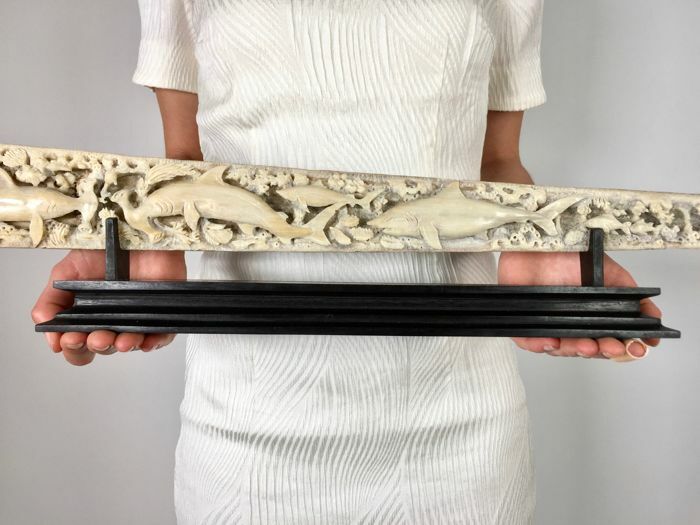 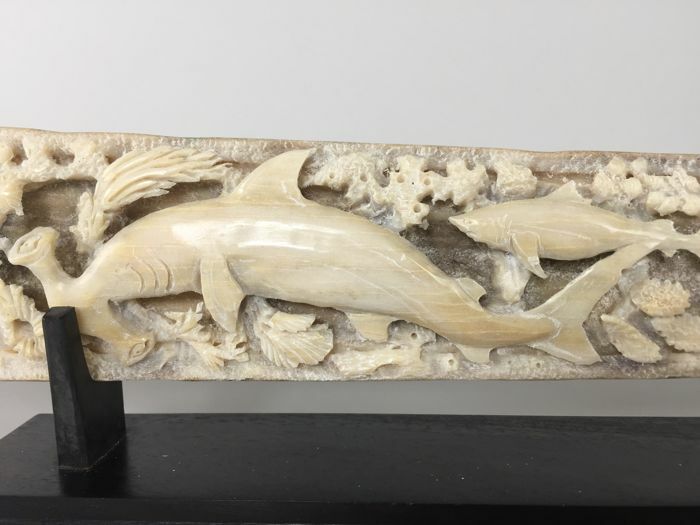 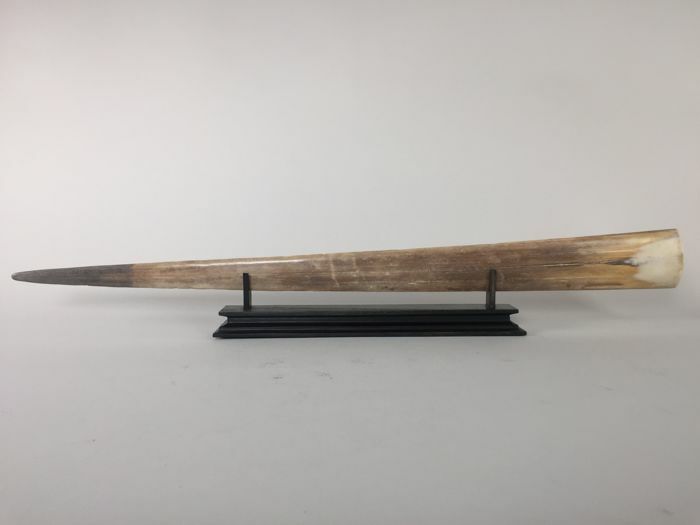 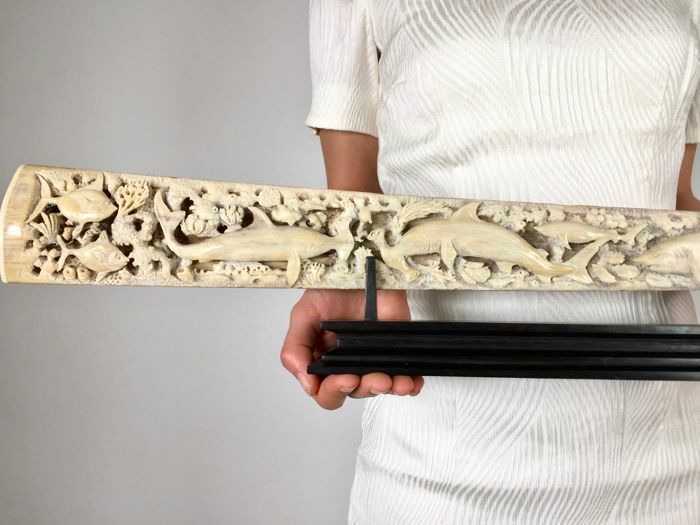 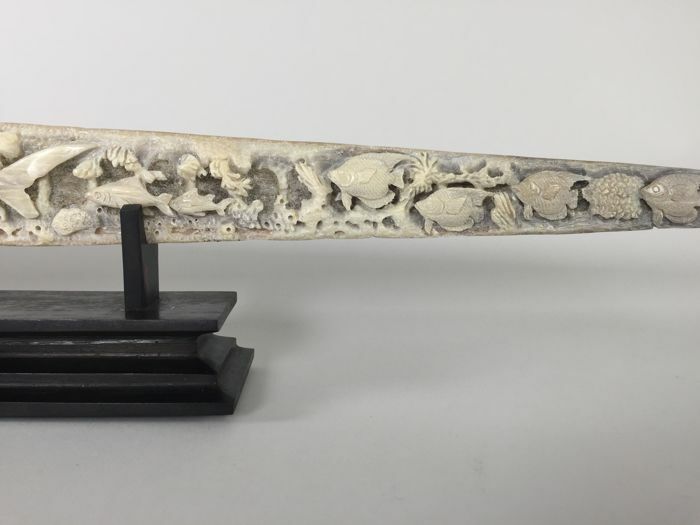 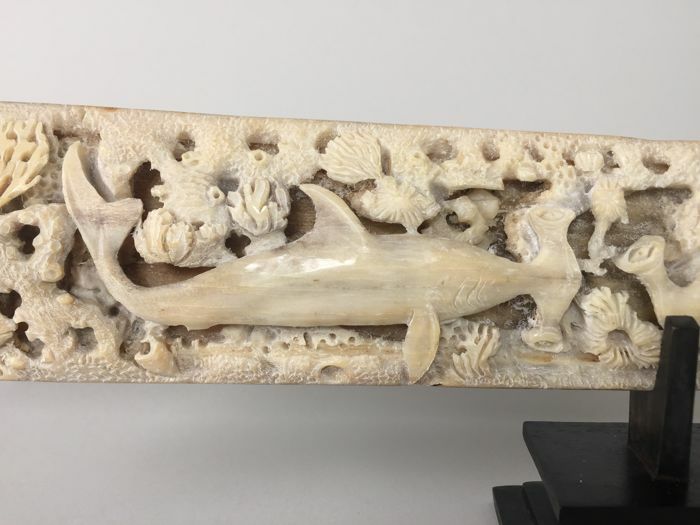 A master craftsman has intricately carved a marine wildlife setting with (hammerhead) sharks and swimming alongside fish, in a beautiful coral setting into this large Swordfish Tusk. 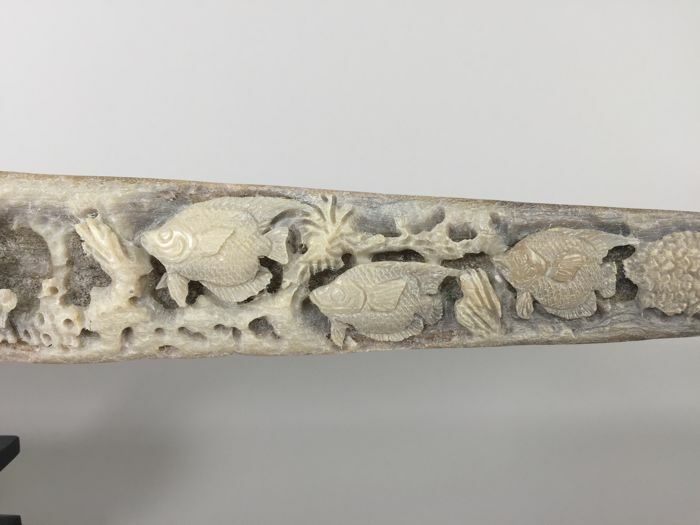 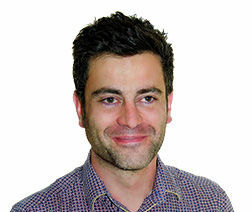 As you can see, the carving is of extremely high quality and has an immense amount of detail. 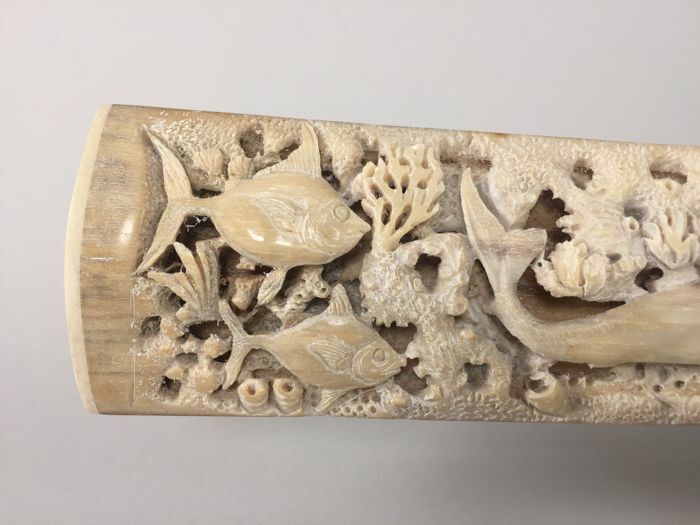 It could be seen as a type of scrimshaw; the name given to engravings and carvings done in bone or ivory.